A novelty at Munich 2017. 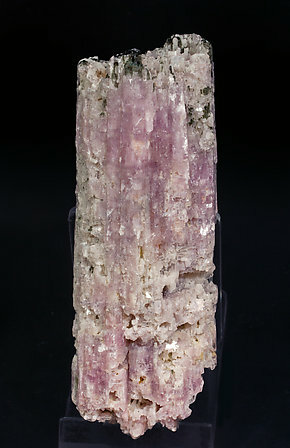 Lepidolite (series) pseudomorphous after a single Elbaite (rubellite variety) crystal with visible parallel growths. 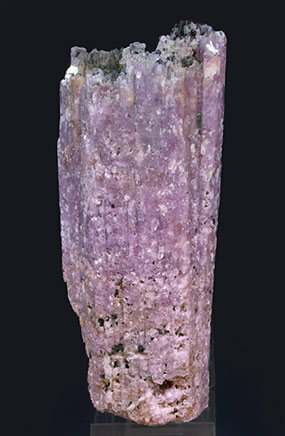 The Elbaite is visible on the base where it is translucent with an intense pink color and rich in channels and other dissolution forms. A novelty at Munich 2017. Parallel growths of Lepidolite (series) crystals pseudomorphous after Elbaite. 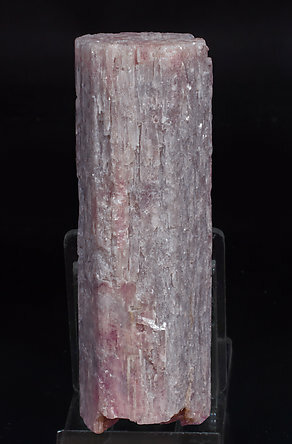 They are bright with a rich pink color, with channels and other dissolution forms and with the crystalline remains of Elbaite (verdelite variety) on the upper end. A novelty at Munich 2017. Parallel growths of Lepidolite (series) crystals pseudomorphous after Elbaite. 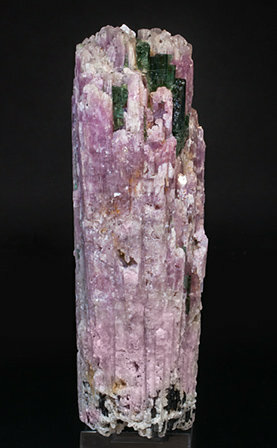 They are bright with an intense pink color, with channels and other dissolution forms and with the crystalline remains of Elbaite (verdelite variety) on the upper end. A novelty at Munich 2017. Parallel growths of Lepidolite (series) crystals, pseudomorphous after Elbaite, with good terminations. 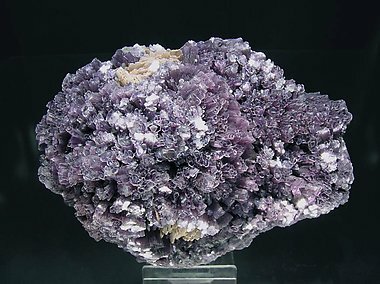 They are bright, with an intense pink color, with channels and other dissolution forms and with transparent Elbaite (verdelite variety) crystals on the upper end that seem to be a later Elbaite generation. A novelty at Munich 2017. 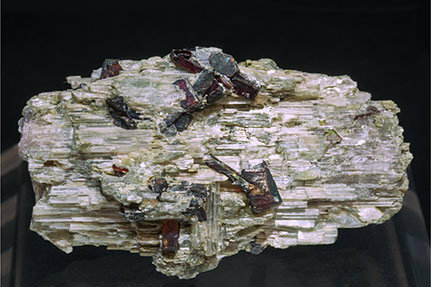 Parallel growths, with a fibrous aspect, of Lepidolite (series) pseudomorphous after an Elbaite crystal, with doubly terminated Tantalite-(Mn) crystals with very well defined faces and edges, transparent and with a very vivid red color. Testaceous group of well defined prismatic Lepidolite crystals. Excellent terminations and nice mauve color. Associated with laminar Albite crystals and minor Fluorapatite (very fluorescent) in the matrix.